Breast milk is great for babies – in fact, studies have shown that breast milk actually has the power to grow the brains of babies! For this reason, many moms choose to breastfeed their babies and they utilize breast pumps in order to plan ahead. When moms aren’t able to breastfeed directly, they may utilize pumped milk in baby bottles in order to ensure that their infants are happy and so well-fed! 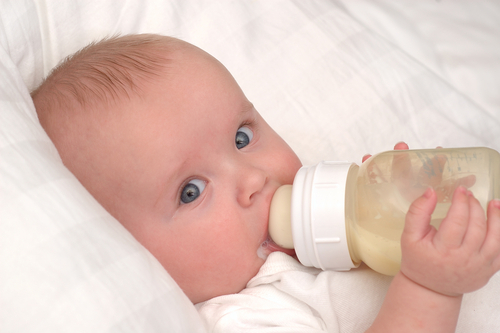 Breast pumps are very practical – however, there are many of them available. Which Type of Pump is the Best? Battery-powered pumps are convenient as they bring extra power to the table. There are also manual breast pumps and electric models. Some mothers choose more than one type of breast pump in order to enhance convenience. For example, they might use an electric model in the home and take a battery-powered or manual model with them while they’re out and about. If breast-feeding is a little challenging sometimes, you’ll benefit from going for a hospital-grade design which offers heavy-duty performance. These types of pumps have special features, including the ability to increase milk supply. While this type of pump will typically cost more, it may be well worth it, as it will make the process of breast-feeding simpler. Mothers who wish to pump breast milk multiple times per day will do well with high-quality electronic styles, which are known as personal-use pumps. These designs are very efficient and they offer some of the bells and whistles of hospital-grade styles, without being quite as expensive. You’ll find that personal-use electric pumps offer automated performance, as well as an array of adjustable features. If you need to pump less, a manual style may be fine for your needs and this type of breast pump is probably the most affordable option. As you can see, there are plenty of choices. Now that we’ve discussed the most popular forms of breast pumps, let’s talk about how to find the best products of this type online. Product reviews are the best ways to isolate true winners. One option is to visit a popular online retailer, such as Amazon.com, and then read reviews for breast pumps in your preferred style. Any website which features reviews will work. Another option is to go to review sites that rank breast pumps based on an array of variables. You should go for a five-star rated design which earns accolades from industry experts and real-life Moms. Once you’ve found the right design, price it online by looking it up at a few reputable online retailers. Once you’ve found the lowest price, consider shipping costs, as they will affect your final tab. If you still feel that you’re getting a great deal, it will be time to order the design that you want. This entry was posted in Kids Care and tagged Breast, Pumps.